The monastery chapel dedicated to Sts. Barbara and Eugene is complete and has been duly consecrated. Glory to God! Our deepest thanks to all who contributed to this collective labor of love. Updates & Photo Journal: Scroll down for the latest. August 27, 2012: Construction commences with septic system installation. Construction has been temporarily halted...Stay tuned! May 16, 2013: We received our grading permit today. Thanks be to God. July 25, 2013: The County of Ventura issued our Building Permit today. Glory to God! You can view it here. 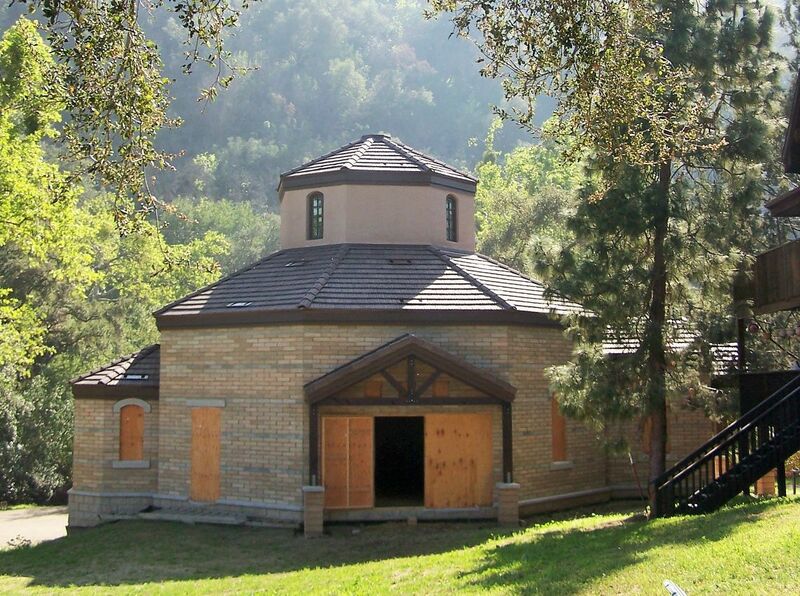 August 8, 2013: Grading for our chapel site began today. September 19, 2013 The crew begins digging the chapel footing. 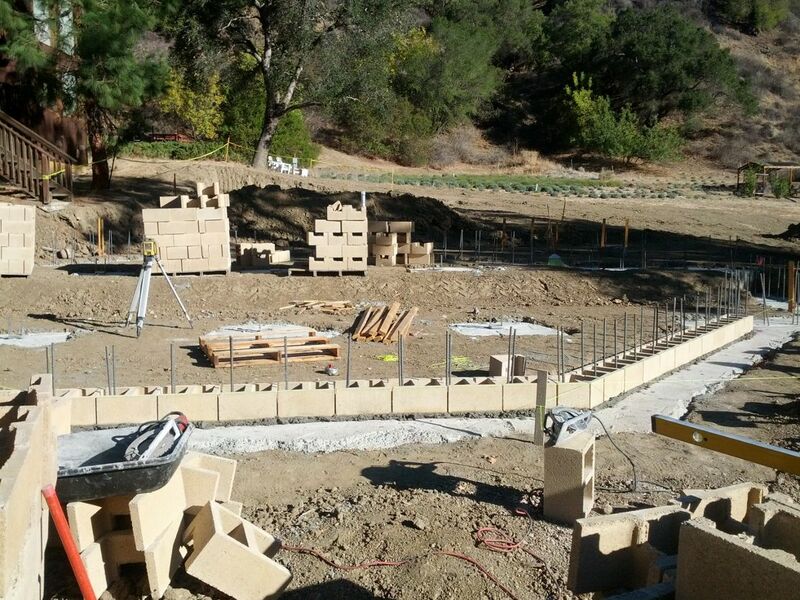 October 30, 2013 The first layer of block is laid outlining the walls of the chapel (see below). Keep us in your prayers! Inspector Blackberry checks out the new floor beams with a keen eye. December 11, 2013 Block work resumes. 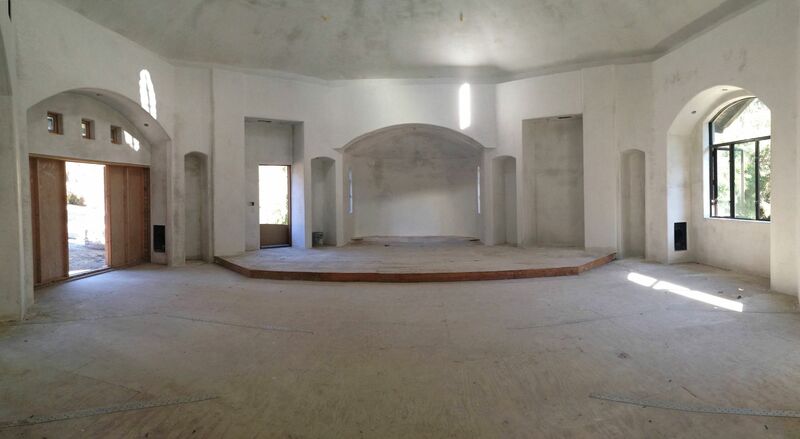 December 20, 2013 Chapel walls to 4 ft above subfloor. 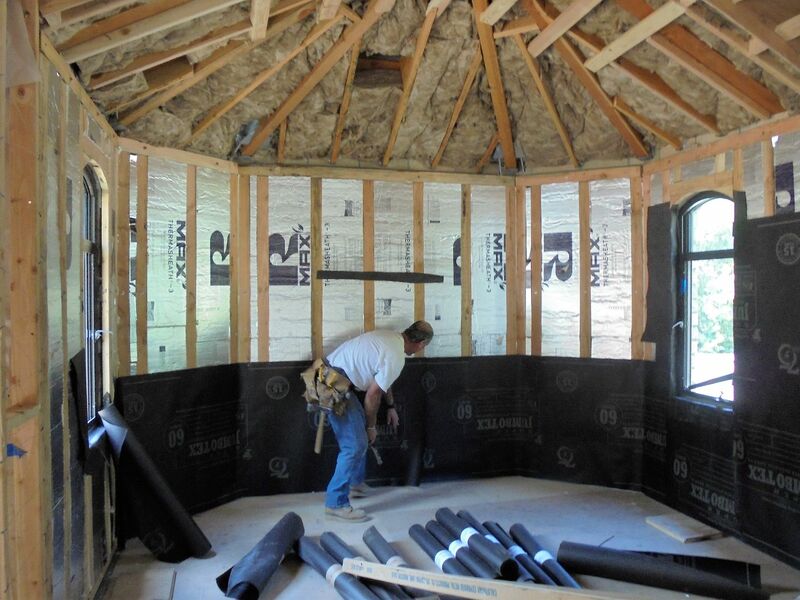 December 26, 2013 After a break for Christmas, our subcontractors are back on the job and hard at work! March 1, 2014 Up goes the steel frame for the chapel roof. Some say a large metal spider has descended! Alfredo: superior service with a smile! And, thankfully, blue is NOT the final color of this chapel. July 31, 2014 The roof tiles are ready for installation. 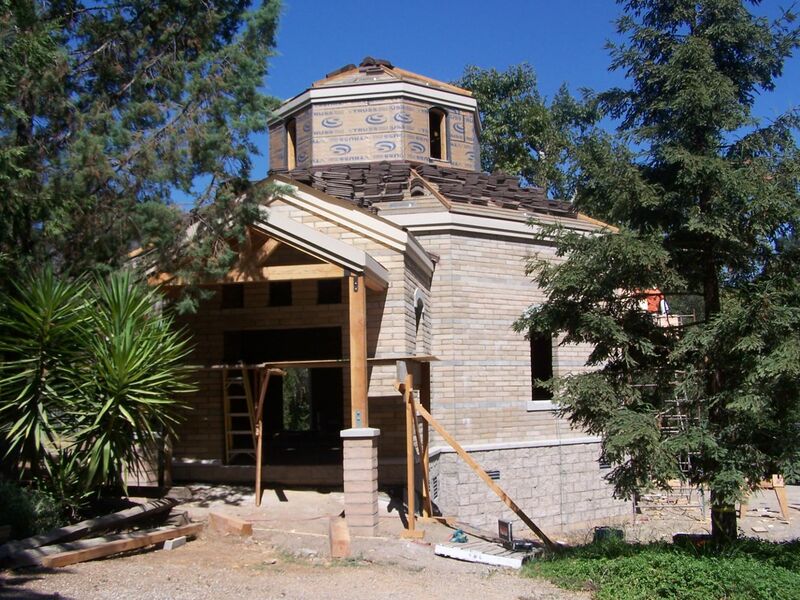 May 10, 2015 The finish line is in sight...We are but $ 230K from the completion of this chapel. August 26, 2015 Thank you to all who have contributed and continue to contribute financially and by your prayers. 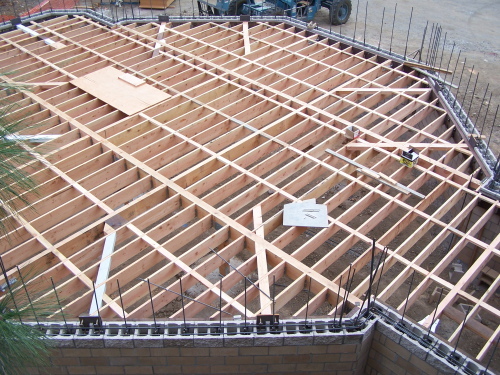 Framers are now hard at work in the interior of the chapel as they prepare to install the plaster walls. Also, the handicapped accessible outdoor restrooms are now completely framed out and are awaiting electrical, plumbing, etc. Glory to God! October 25, 2015 Electrical work is underway in the chapel thanks to some wonderful skilled volunteers! Nicholas Juganu, Cecil Roberts, Jim Morrison, Doug Jones, and more...Thank you! 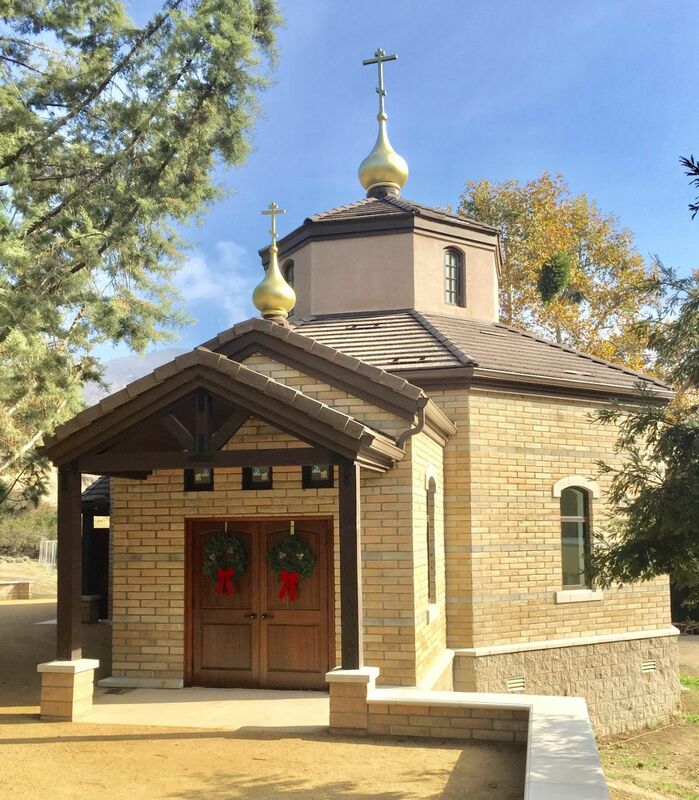 November 1, 2015 You are invited to join us for our Chapel Benefit Dinner on Sunday Nov. 8 hosted by St Luke Orthodox Church, Garden Grove. Tickets are $50/ each and $ 25/under 12. Friend of the monastery and professional chef Kimmy Tang will be cooking up some delicious food and Fr John Finley will host a wine-tasting. 6pm Cocktails, 7pm dinner. Please contact Anna Nasser at 714-971-2244 or annasgl@yahoo.com for tickets. Thank you to St Luke's Church for sponsoring this event! 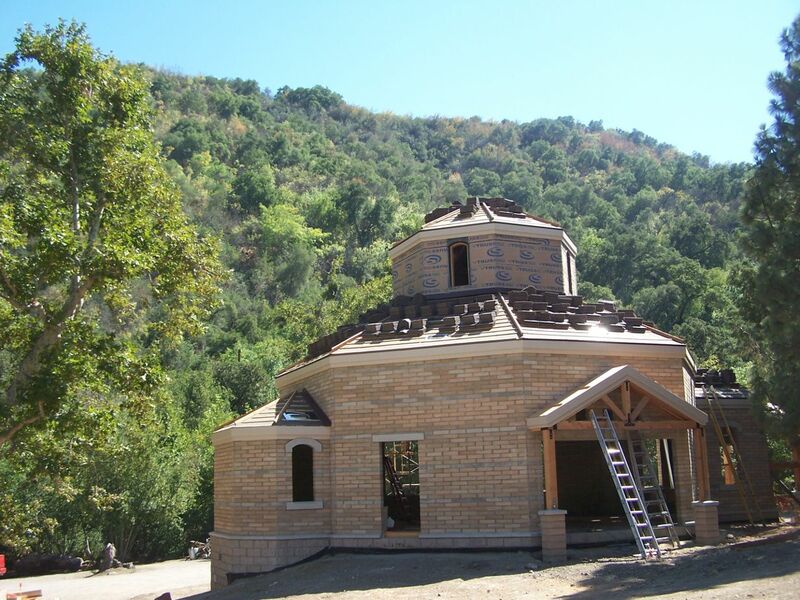 November 11, 2015 We are deeply grateful to St Luke Orthodox Church and all who labored and gave generously to make the Chapel Benefit Dinner a stunning success! An report of the outcome is forthcoming. 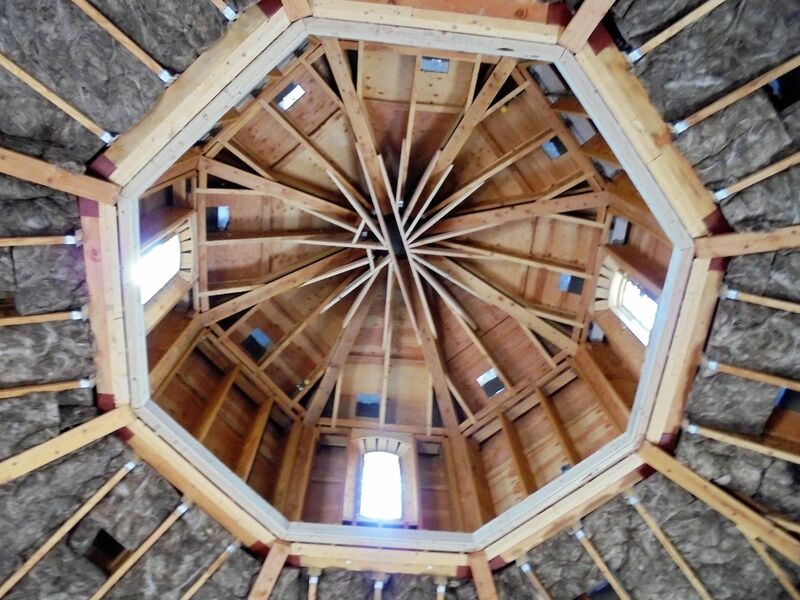 July 29, 2016 The plasterers have done good work this week in the interior walls of the chapel. The third coat of plaster will be put on soon and set to cure for two years before the work of frescoing icons begins. In the meantime, we have just launched a campaign to adorn the interior of the chapel with all the necessary liturgical furnishings. You may sponsor an item/icon individually or as a group for some of the more costly furnishings. We sincerely thank you for bringing us this far. April 9, 2017 Patrick building our iconostas. April 11, 2017 The paving for our driveway is now complete. The last remaining items on our checklist are scheduled to be completed in the next few weeks. May 14, 2017 God's help and yours, we have now crossed the construction finish line. Glory to God for all things! !